iOS 10.2 can now be jailbroken and we are very happy to announce that you can now install and run SPYERA on any jailbroken iOS device running iOS 10.2! 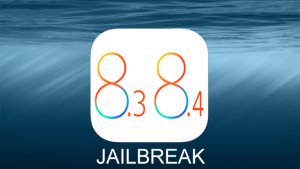 The first thing you need to do is jailbreak the iPhone/iPad device. Jailbreaking iPhone means gaining access to thousands of tweaks and mods which greatly enhance the iOS experience, so this is great news for the power users out there. It also means that you can install SPYERA. If you have a 64-bit iOS device and you’re running any version of iOS between iOS 10 and iOS 10.2, you’re probably in luck. Almost all devices that fall into this category can now be jailbroken. These are instructions on how to jailbreak your iPhone on iOS 10.2 using Yalu and Cydia Impactor. Step 2 – Download Cydia Impactor for Windows from here or for MAC from here. Launch Cydia Impactor program on your Windows computer. Cydia Impactor is to make sure it’s detecting your iOS device. Your device should automatically populate when Cydia Impactor is launched. If not, check your Lightning cable, then make sure your iOS device is unlocked and the screen is on. Step 3 – Click and drag the previously downloaded IPA into the Cydia Impactor window. Doing so will automatically begin the side-loading process. See the screenshots below. Before the IPA can be sent to your device, you’ll have to enter your iTunes email and password. Don’t worry, the process is completely safe and your information is only used to sign the IPA so that it can be installed on your iOS device. After that, give Cydia Impactor a minute or two to sideload and install yalu102 onto your iOS device. When Cydia Impactor returns to the initial screen, that means yalu102 has been installed successfully. 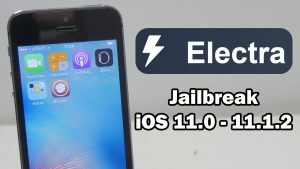 Before using the yalu102 app to jailbreak, you’ll have to trust yourself as a developer as your device won’t run any sideloaded apps until you’ve done this. 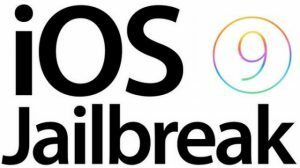 Step 6 – You’ll see the email you used to sideload yalu102, so go ahead and select it. Next, tap on “Trust (your email address),” then once you’ve done that, tap “Trust” on the confirmation dialog. Step 7 – Return to the Home screen and launch the Yalu (yalu102) app. Press the go button in the center of the screen. Press the go button in the center of the screen. Hasta que version se puede hacer el Jailbreak en el iPhone?? ?